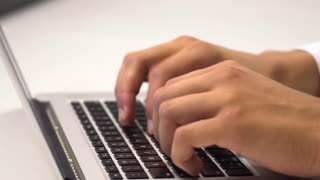 hand man close-up typing on the keyboard. 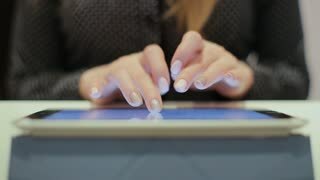 Close up shot of young attractive business man typing in the tablet while sitting in the office. Portrait shot. 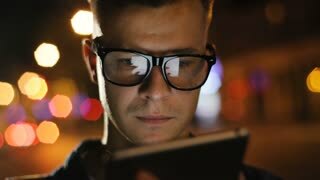 Close up shot of young man in the glasses typing in the tablet on the modern city background.